Net Tools is an impressive set of network monitoring software with more features, bells and whistles that you can shake a fork at. 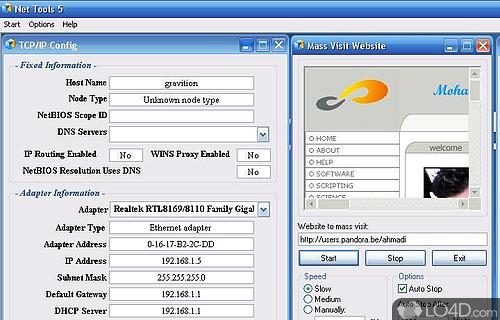 This program is a freeware application with a focus on network monitoring and more specifically, monitoring the security of a network. At first glace, Net Tools might be a little difficult to wrap your head around because of the sheer number of tools which are included in the pack. When we took a look at it, there were 136 different tools ranging from scanners, traffic monitors, an FTP client and network sniffer. Net Tools also offers 35 other tools having to do with encryption, comparison and steganography. 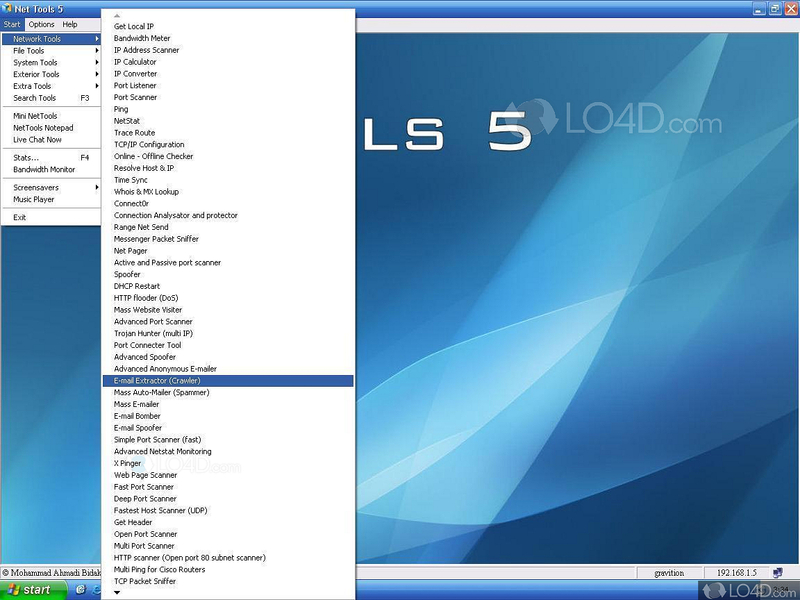 The program is also rather customizable, giving you the option to rearrange menus and the overall layout and design is simple and straight forward (if you're a network administrator). The bottom line, some of the tools in this package are quite outdated, but overall a lot of the utility offered by Net Tools far surpassed that of even some of the most expensive network administrator suites. Net Tools is licensed as freeware for the Windows (32-bit and 64-bit) operating system / platform from network software without restrictions. 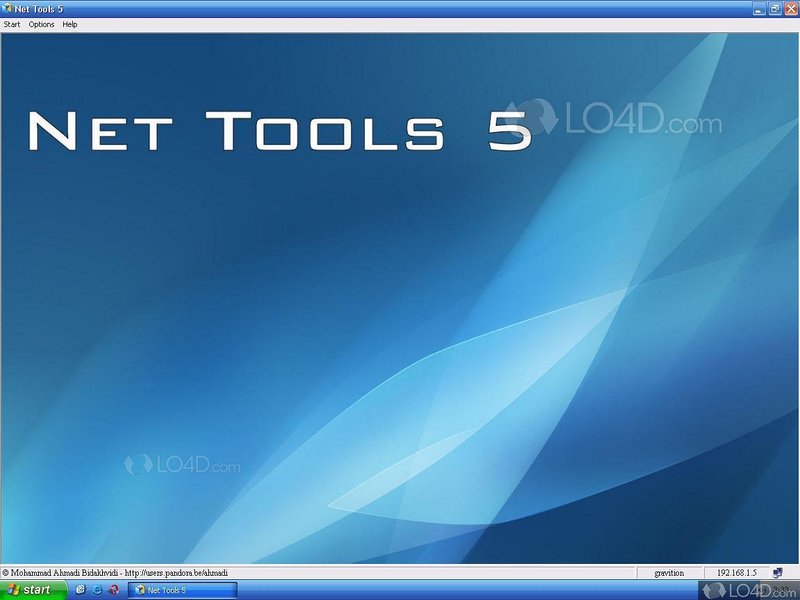 Net Tools 5.0.70 is available to all software users as a free download (Freeware). Though this program tested positive for virus tests, some people don't view it as a virus or malware. This could mean toolbars or system modifications. Since the publisher or product no longer exists, the download of Net Tools is from the archive and therefore outdated; updates to this software should not be expected. Compatibility with this port scanner software may vary, but will generally run fine under Microsoft Windows 10, 8, 8.1, 7, Vista and XP on either a 32-bit or 64-bit setup. A separate x64 version of Net Tools may be available from Mohammad Ahmadi Bidakhvidi. This download is distributed as NetTools5.0.70.zip. 4.4 out of 5 based on 14 ratings.